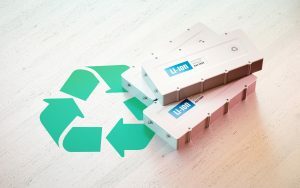 Triple Storage Capacity of Lithium Ion Battery | HOBI International, Inc.
American researchers believe that they have found a way to extend the usable lifetime of lithium-ion batteries. Most of our electronics are powered using lithium-ion batteries, from smartphones and laptops to electric vehicles and most wearables and let’s face it, since technology is practically unavoidable in our daily lives, battery life of these devices limits our use of these gadgets way too often. The limited storage capacity of batteries has been a long-time bottleneck for grid level power storage. If the storage capacity of batteries is increased it will further promote the use of renewable energy such as solar and wind energy. And this can only be achieved by increasing the power density of batteries. Together in a joint effort, scientists from the University of Maryland (UMD), U.S. Army Research Lab and the U.S. Department of Energy’s (DOE) have been working hard to improve the storage capacity of lithium-ion batteries. Turns out, the use of extra cobalt was the answer. The scientists believe they can triple the energy density of lithium-ion battery electrodes. The new cathode material is an altered form of iron trifluoride (FeF3); it is also a cheaper solution because iron and fluoride are abundantly present. Not only is FeF3 is more cost-effective, but it can provide higher capacities than traditional cathode materials. To overcome the challenges of poor energy efficiency, a slow reaction rate, and poor cycling life resulting from the use of FeF3 previously, the researchers added cobalt and oxygen atoms. “When lithium ions are inserted into FeF3, the material is converted to iron and lithium fluoride,” said Sooyeon Hwang, a co-author of the paper and a scientist at the Brookhaven National Laboratory. American car giant Tesla and Japanese battery maker Panasonic have previously vowed to cut their use of cobalt in their batteries, but industry players needn’t worry — the sheer scale of battery storage manufacturing is going to soar, according to Bloomberg New Energy Finance’s (BNEF) latest report. “We see $548 billion being invested in battery capacity by 2050, two thirds of that at the grid level and one third installed behind-the-meter by households and businesses,” said Seb Henbest, head of Europe, Middle East and Africa for BNEF.